5MC ~~ Embrace | Only at His Feet! How are you today? Are you busy? Got lots of errands to run…places to go…people to see? With all that can be going on in our lives what with work, family and friends sometimes it is very difficult to stop long enough in our busyness to just praise and worship God. Don’t get me wrong, there is nothing wrong with working hard , taking care of our families, and enjoying some relaxation . But when God is moved down the list of our priorities – we have a problem. 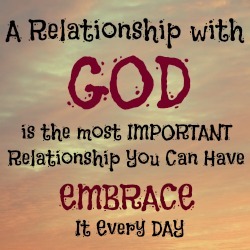 I have learned over the past several years that to really EMBRACE God…to have a true and wonderful relationship with Him, He must come first IN ALL THINGS and AT ALL TIMES. To embrace Jesus is to love Him with all your heart, your soul, your mind. It is to give Him first place in your life. He desires to be everything to us. He longs to embrace us with His love, His peace, His joy, His strength, His kindness…with everything He is and has! He is absolutely the only true thing we NEED in our lives! JESUS! Embrace me, PLEASE!